I will hopefully be decorating my bedroom after Christmas, starting fresh and new. I love the white bedrooms, they look clean, neat and bright. The clothing rails look extremely cool and tidy too, but 100% sure mine would not look like that! So pretty! I myself am a huge fan of the "shades of white" bedrooms. They just look so fresh and clean! Stunning room inspiration lovely! 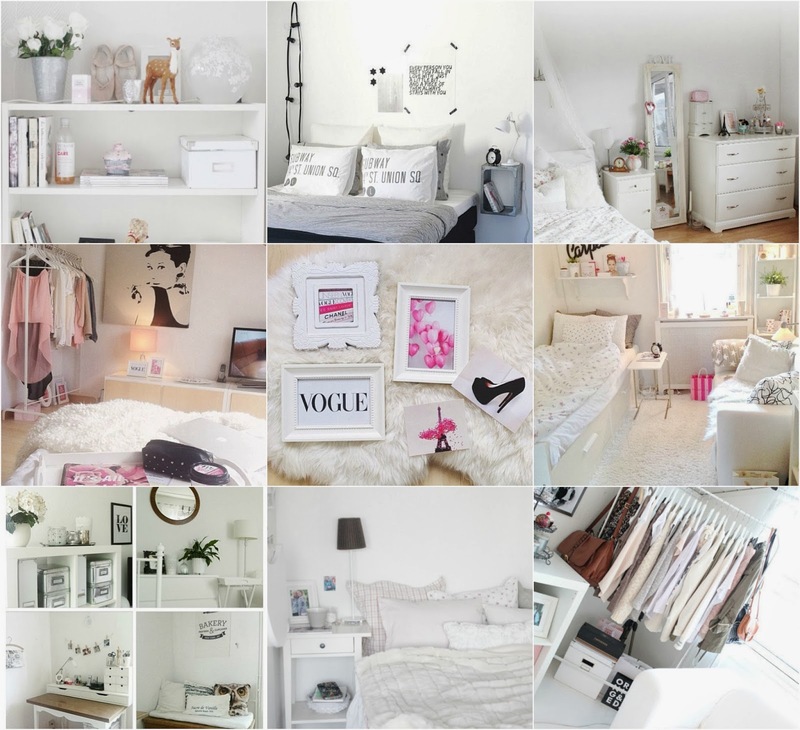 I would loveeee to have my room like this too, with everything matching!